Blake Shelton and Miranda Lambert may have asked for privacy following the announcement of their divorce, but fans are having a hard time wrapping their mind around their split. The rumors circulating about infidelity in the marriage is not helping the situation either. On Tuesday news broke that Shelton reportedly suspected his wife of four years of cheating on him with two different men. 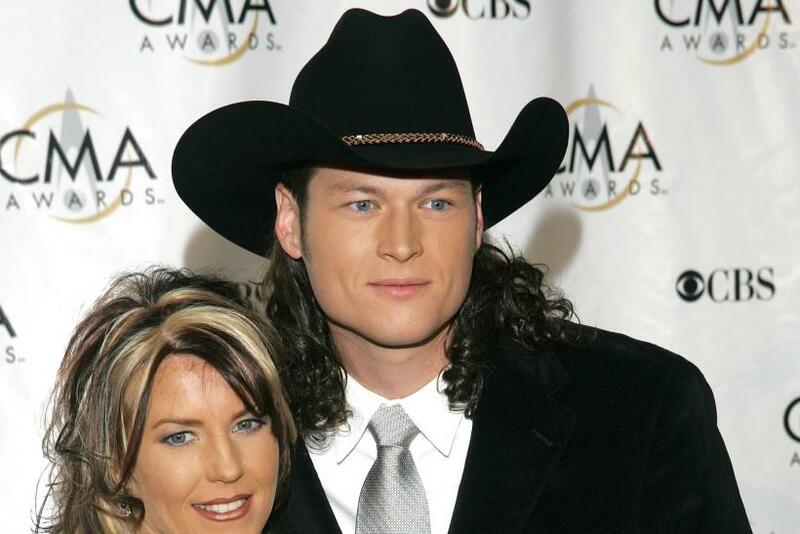 The allegations, which come from sources close to the couple, are not far off from the reports that surrounded Shelton when he divorced his first wife, Kaynette Williams, in 2006. Shelton and Williams, who also goes by Kaynette Gern, were high school sweethearts. She went on to manage the country singer when he first started his career. After a couple years of dating, the two tied the knot during a small ceremony in Gatlinburg, Tenn. on Nov. 17, 2003. Shelton wore his Wranglers, boots and cowboy hat, while Williams wore a Demetrios wedding gown. Fans of Lambert and Shelton know that the two met when they sang a duet of “You’re the Reason God Made Oklahoma” for a CMT special in 2005. Shelton has openly admitted that he fell in love with Lambert right there on the stage – but the problem was that he was married to Williams. Despite the connection that the two country crooners felt, Lambert claims that she kept her distance from Shelton. However, a year later Shelton and Williams ended their three year marriage – with Williams claiming that her ex was “guilty of inappropriate marital conduct.” In 2007 Shelton told People magazine that his marriage ended because, "I just really don’t think I was ready to be a husband," however rumors suggested that he and Lambert started a relationship prior to the divorce. He went on to date Lambert after he ended his marriage to Williams, and the pair wed in 2011. So, where is Kaynette Williams now? Shelton’s ex-wife appears to have kept his name, and is now a math facilitator at an elementary school in Great Bend, Kansas. [Click HERE to see a photo of her.] In 2013 she was linked to rodeo champion Cody Joe Scheck and reportedly living with him in a three-bedroom, two-bath house. Scheck’s mother, Patricia, told the National Enquirer that her son met Williams through mutual friends. Last June a friend of Williams’ made an Ebay listing for the Demetrios wedding gown that she wore for her wedding to Shelton. The starting price for the size 6 gown was $700, however no bids were made on the item. Kaynette Williams has not commented on her ex-husband’s divorce from Miranda Lambert. However, a source close to Williams told the Enquirer in 2013 that Williams sees Shelton as Lambert’s “problem now.” “A leopard never changes his spots,” the insider added. Blake Shelton and Miranda Lambert’s divorce was made official on June 20.